Co-working spaces that offer crèches are becoming more and more, but how often does your local suburban childcare centre say, “Come on in, set up your laptop, stay all day”? Never! 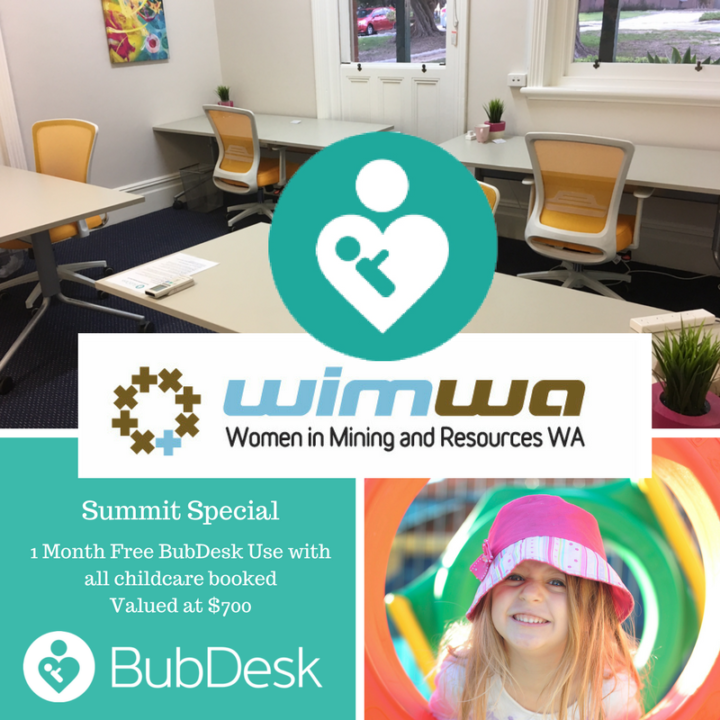 In the spirit of Being Bold for Change BubDesk has taken the co-working & crèche model and turned it on its head, partnering with childcare centres across town to turn unused office space into small parent workspaces that can be utilised by working or studying parents, while they transition their babies into care. These little offices typically accommodate 2-6 parents daily, with Wembley also offering private offices, providing parents with WIFI, printing, coffee, as well as the opportunity to continue feeding, joining in a morning activity or stealing the occasional cuddle. Flexible working is a hot topic and on every corporate agenda, but while the demand for flexibility is growing the desire to work from home is diminishing. It sounds good in theory, and don’t get me wrong, the ability to do a load of laundry during the working day can be a Godsend, but for the most part working from home is isolating and full of distractions – if you’re only working during baby nap times how much are you actually accomplishing? Childcare co-working gives you the chance to mingle with adults, plough through your to-do list and build your business network all in as little as a half day per week. It’s not just small business owners making use of the facility, if you’re fortunate enough to work for GE or Synergy you can expect to be offered the option as a return-to-work solution following parental leave and the number of corporate supporters is growing.